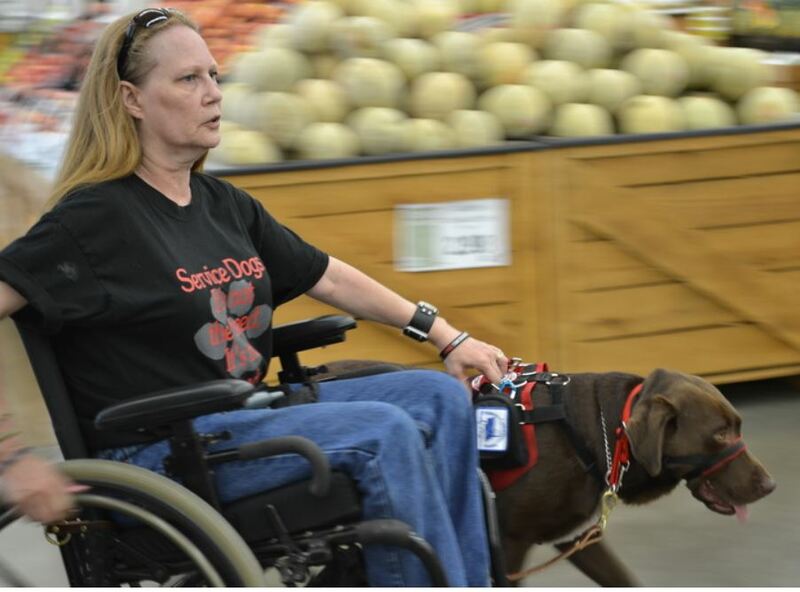 The Domesti-PUPS Service-PUPS program helps disabled individuals gain the independence they so greatly deserve. 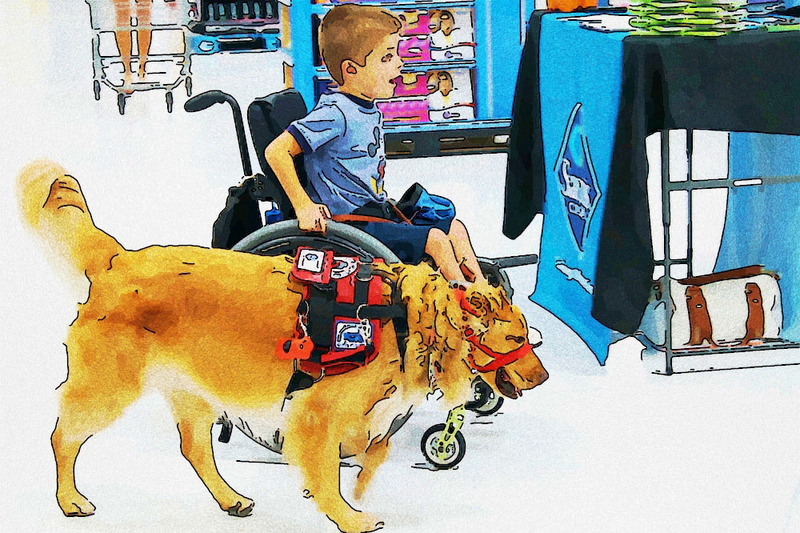 These dogs are taught to pick up dropped items from the floor, open doors, turn on light switches, provide balance, pull wheelchairs, and can even be taught to sort laundry. These special canines are taught anywhere from 30-90 commands over a two-year period before being placed with their future life partner. 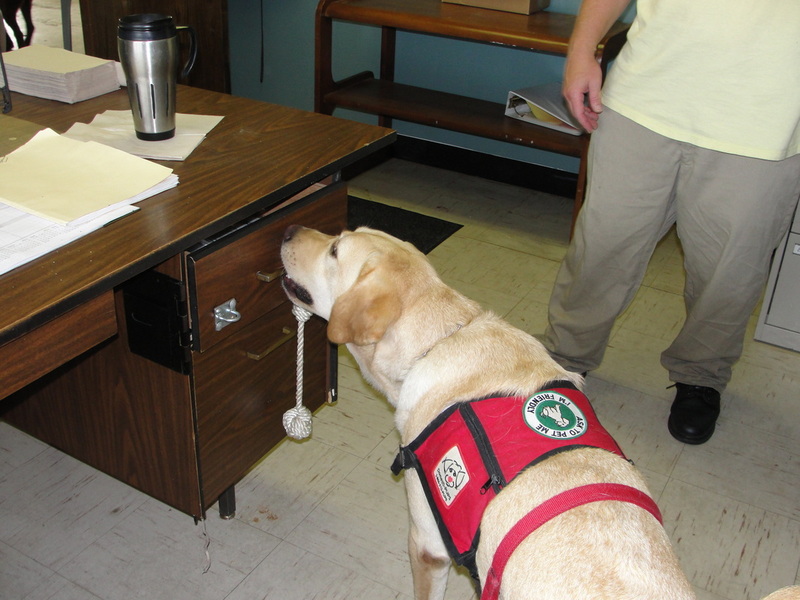 Clients of our Service-PUPS program attend a 12-day training camp. Transportation costs are the responsibility of the client. If you have interest in applying for a Service-PUP, please email info@domesti-pups.org to request an application. Breeders: Interested in donating a puppy?